“Teach English Now!” – My Experience at an English Education Conference in the U.S. I participated in a conference on English education called “Teach English Now!” at Arizona State University in Tempe from Aug. 2 to 4,. The theme of this year’s event was “The Future of Language Learning.” I found out about the conference through an online TESOL course I had been taking through the same university. Thinking it would be a good opportunity to talk to English teachers from around the world about the English and cross-cultural education programs I’ve implemented at the Sapporo high school where I teach, I decided to sign up. Tempe is in the middle of desert and the temperature was 44 degrees Celsius, but I enjoyed visiting the gorgeous campus and exotic-looking city. The conference participants hailed from 23 different countries, so they had a wide variety of backgrounds and experiences. They included English teachers, journalism teachers, people involved in early childhood education at high schools and universities, staff members at non-governmental organizations that teach English to immigrants, and students and adults aspiring to become English teachers. 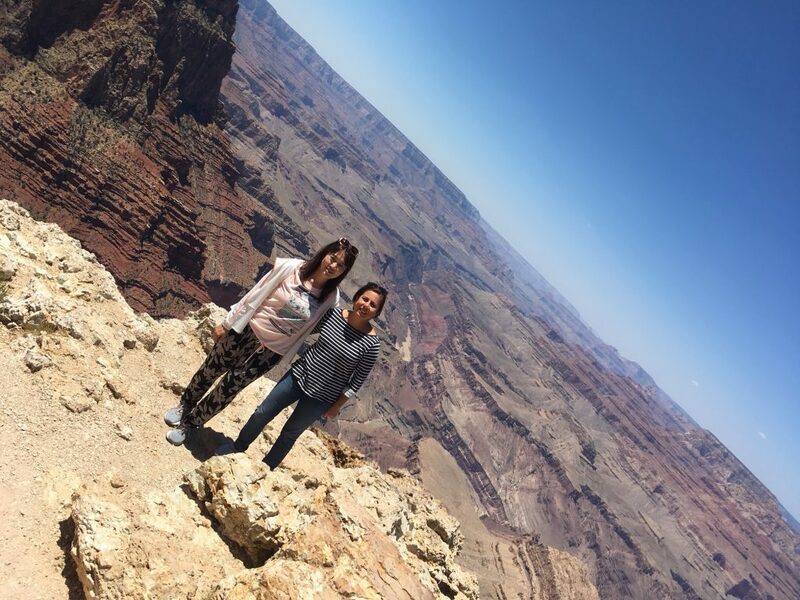 I traveled to the Grand Canyon with a participant from Mexico after the conference. I gave a 45-minute presentation entitled “Japanese High School Students’ English Journeys with Technology and Reading” for a session focusing on “Language Learner Journeys” in the afternoon on the second day of the conference. My talk focused on two activities that I had implemented in English classes for second-year high school students two years ago. I spoke about how I introduced the activities, the problems I came across in administering them, and the results they produced. One of the activities I introduced was the Global Classmates online exchange program between Japanese and American high school students organized by Kizuna Across Cultures. Through this program, my students interacted with students from Southwest High School in Minnesota for six months. The other activity I introduced was an intensive English reading program. I became interested in this program after learning about it at an academic conference in my hometown of Sapporo and spent a whole year preparing to introduce it in the classroom. 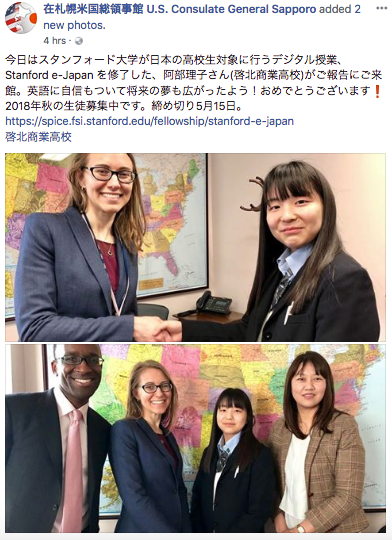 In my presentation, I also talked about programs offered by other organizations, including Stanford e-Japan, which one of my students participated in after developing an interest in English and cross-cultural understanding through my classes. I also shared information on my school’s volunteer activities, visits to Sapporo’s sister city of Portland, and hosting of exchange students in Japanese students’ homes. Unfortunately, a lot of high school students in Japan assume they aren’t very good at English, and my students used be the same way. But after I implemented these activities, which enabled my students to actively participate, communicate, and gain independence, they wrote many positive comments on a survey I conducted at the end of the school year. One student wrote about being able to read and write in English faster than before, while other students said they want to go to America now or that they feel closer to the United States than they used to. This made me realize that they had gained confidence in their communication abilities and that their perspectives had broadened as a result. More importantly, the students sensed this themselves. In English language tests administered by external organizations as well, the test scores of the students who participated in these programs for one year improved by about the same amount as the nationwide average improvement over two years. 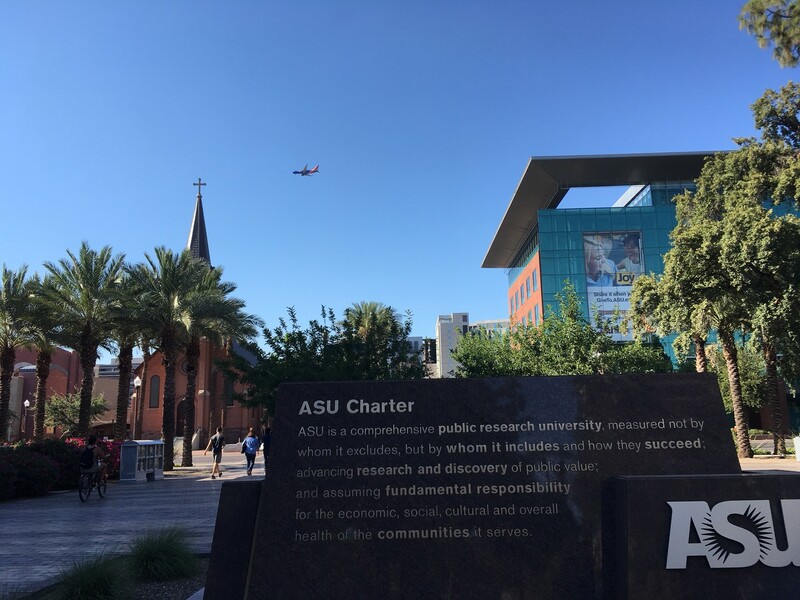 The people who attended my talk at Arizona State University were extremely eager to learn about the programs I had implemented and the information I presented about Japanese schools and English education. During the open discussion session afterward, we engaged in an active exchange of views that was very valuable to me. My school’s participation in most of the programs I mentioned in my presentation was made possible through support and information provided by the U.S. Embassy in Tokyo and the U.S. Consulate General Sapporo. I’m always grateful for their generous assistance. During the summer holidays last year, I took some students who were interested in studying abroad to the Sapporo Consulate, where we learned a great deal about American universities and the educational system in the United States. The Consulate also provided information about Kizuna Across Cultures and Stanford e-Japan. Since I’m always striving to have my students interact with society and people outside of school and to challenge themselves to engage in practical communication, this was a wonderful opportunity not just for my students, but also for me. Schools in rural areas of Japan in particular are not able to offer many opportunities or resources for students to interact with people from overseas. Students studying English at these schools often have a hard time feeling connected to the international community. The three days I spent at the conference at Arizona State University renewed my motivation to do everything I can to help deepen my students’ interest in English and the world outside Japan and to help foster their growth by broadening their perspectives. I really appreciate your strategies to motivate the students to learn and use English language for their communications. You are a very professional teacher!